Escape to Lovers' Lane for Christmas. 6 ALL-NEW Romantic Tales Where Holiday Wishes Come True. Sunny lost faith in men when her prom date, Brady, abandoned her on the dance floor and never came back. Eight years later, can a chance encounter turn him into her Christmas miracle? Find out in this special holiday installment in the Colorado Billionaires series from USA Today Bestselling Author Regina Duke. Megan Duffy needed to get away after a broken engagement and a few days at her family's cabin could be just what she needed. She was looking forward to the peace and quiet, that is, until she met hunky Ryker McCabe. Could Ryker put the light back in her eyes and heal her broken heart? A down-hearted woman gets a magical candy bar from a sidewalk Santa that transports her into an alternate reality in this enchanting tale from NY Times & USA Today Bestselling Author Sandra Edwards. Krystal is hoping for the gift that will free her to love Zachary, the man of her dreams. While she waits, she does her best to make others' dreams come true and wonders if her old flame Zach will return her love after all these years in this delightful tale from USA Today Bestselling Author Regina Duke. 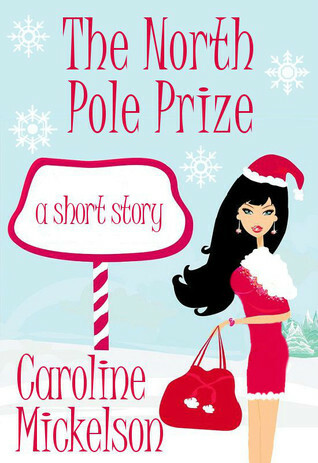 Krystal's Christmas is a special holiday installment in the Colorado Billionaires series. After being left at the altar, Callie Spencer needed a fresh start. She accepted a position as the Children's Librarian in a small Vermont town. Single dad Tom Sullivan was too busy raising his 4-year-old daughter to look for love. Can these two fragile souls find love and heal their broken hearts? Cami McClure is visiting her best friend, Genie Wainwright Taylor (heroine of Second Chance Bride) in Hawaii for the Holidays. Will Cami find love in paradise, or will it slip through her fingers? Find out in Christmas Bride, the latest installment in the Sapphire Bay series from NY Times & USA Today Bestselling Author Sandra Edwards. North Pole engineer Garrett McCree values his peace and quiet above all else, and his life runs according to a carefully crafted master plan. Until, that is, Santa Claus asks Garrett to play chaperone to the winner of the North Pole Prize essay contest. Out of loyalty to Santa, Garrett reluctantly agrees. After all, how much trouble can one woman possibly be? But when beautiful and vivacious Angelique Devereaux, a Christmas-loving, serial gift giver arrives at Christmas Central, Garrett soon realizes the answer to that question. Predictable is out, spontaneous is in, and Garrett’s heart will never be the same.